Fly Lady of the Day <br/>Regine Nehy from "Lakeview Terrace"
Regine Nehy from "Lakeview Terrace"
This weekend I hit up a mixer for BlogHer at a coffee shop (shout out to all the bloggers I met Saturday morning). 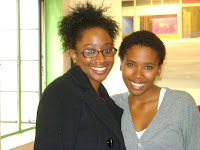 I noticed a young sista at the shop who looked real familiar. Turns out it was Regine Nehy who played Samuel L. Jackson character's daughter in the thriller "Lakeview Terrace." Must have been fate because I planned on writing about Nehy after watching "Lakeview Terrace" On Demand a few days prior. Despite the mild reviews I wanted to see the film because I love Kerry Washington and Samuel L. Jackson. No one can cuss and play a crazy man like Samuel L. The movie is about deranged cop Abel Turner(Samuel L.) who is not down with the swirl. He harasses his new neighbors (Kerry Washington, Patrick Wilson) because they're an interracial couple. The acting in the film is good but I wasn't in love the writing. It wasn't horrible, but something was missing. Regine Nehy did not come up short in her role. She delivered in this film. The beautiful and talented actress didn't have a lot of scenes but when she was on camera she shined. Nehy plays Celia Turner, a frustrated teen dealing w ith an overly strict, prejudice, psycho father and the recent death of her mother. The poor girl is angry, but has a rebellious streak. I chatted with Nehy at the coffee shop and she told me she'll be appearing in the star-studded "Death at a Funeral," produced by my favorite comedian Chris Rock. Martin Lawrence and Tracy Morgan and Danny Glover are reportedly also on board. According to Variety, the film is a remake of a dark British comedy about a father who dies and all kinds of secrets and drama come alive at the funeral. Rock is going to do the black remix to the plot. Check for that in 2010. Nehy is only 21 and has a lot of promise. 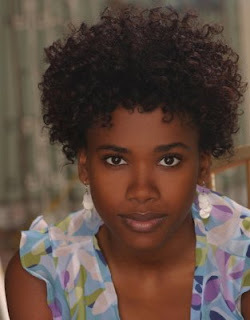 The Philly native has also been in the film "Pride", ABC's "Grey's Anatomy and "Lincoln Heights. " Hollywood give this sista more roles. I love Beyonce and Halle Berry but as I've said many times on this blog they're not the only black women who can read a script. There are talented sistas out there who can bring the fire on camera if just given a chance. Regine Nehy is a rising star and I look forward to seeing her in more productions. If you saw "Lakeview Terrace" what did you think? Speak your mind in the comments section. 2. Regine Nehy w/ co-star Jaishon Fisher in "Lakeview Terrace"
I didn't see the film, but I'll watch it this weekend. Congratulation to Ms. Nehy, and may you have many more films added to your credit. After I see the movie, I'll let you know what I thought about it. She looks really young. I thought she really was a teenager. I say the film and I also think that she did a great job.